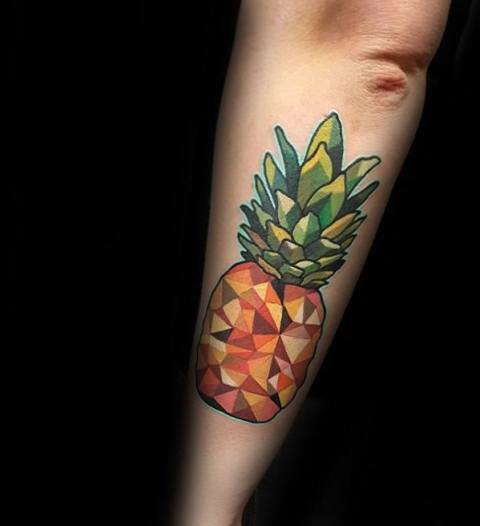 We continue to show you gorgeous and interesting tattoo ideas that are popular among men and women. 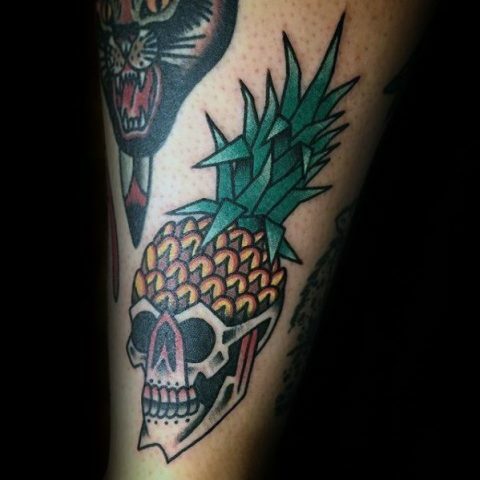 And today I want to share with you tropical and fruity pineapple ones. 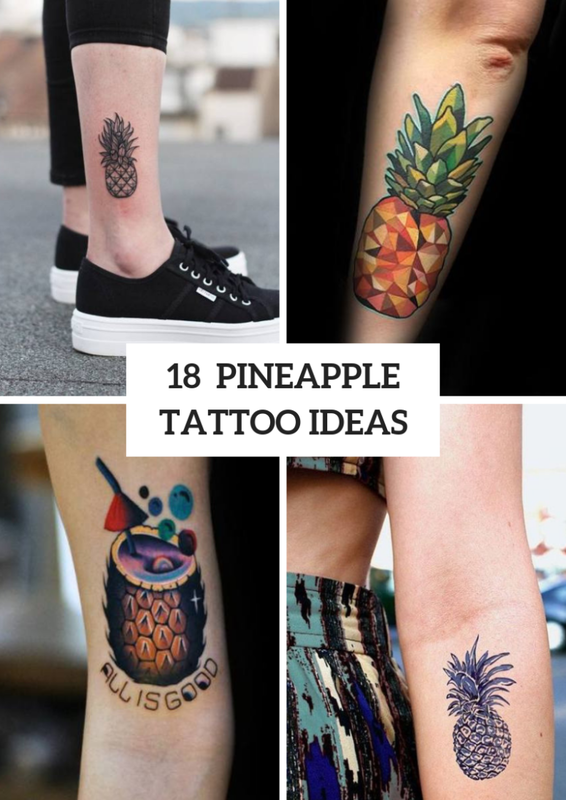 I’m sure you will like them cause they remind a summer and a relax and look so eye-catching! 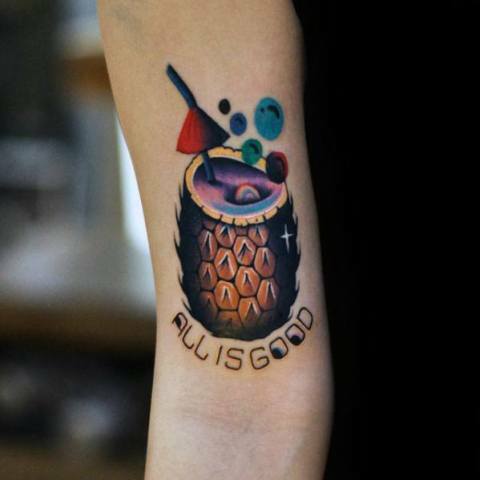 As usual we need to consider meanings of these tattoos, and, first of all, they symbolize a comfort and a hospitality. 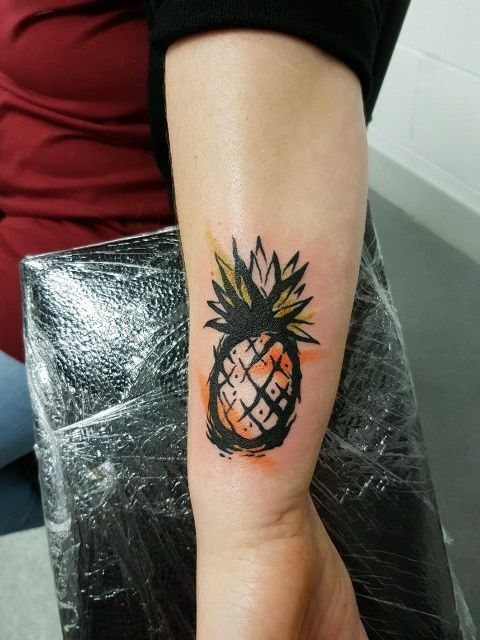 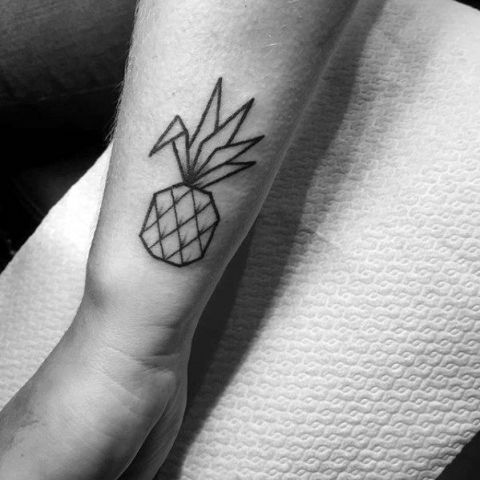 You can also find that a pineapple tattoo means a true friendship (that’s why many best friends and couples make matching tattoos with an image of pineapples). 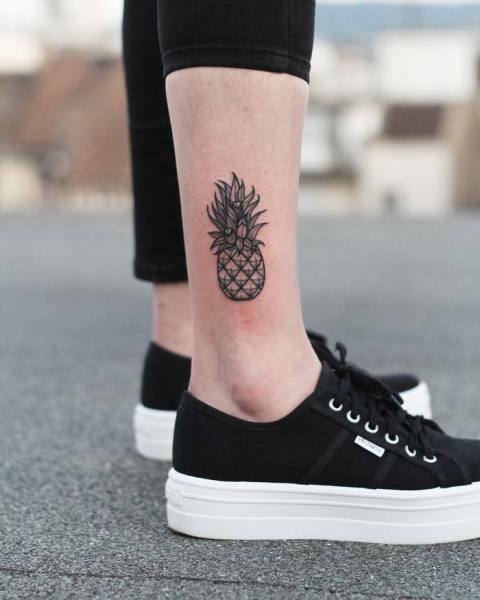 The most common pineapple tattoos are colorful, but if you like a minimalism, you can try to repeat a black and white ones. 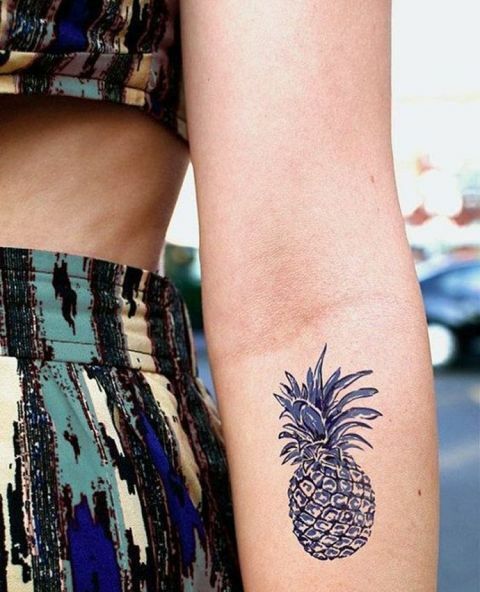 Now let’s scroll down and choose the most beautiful tattoo for you. 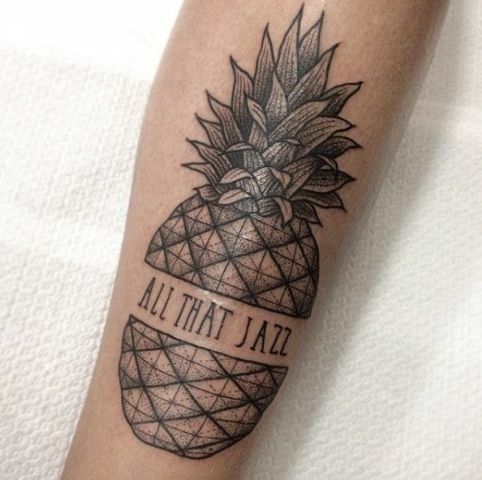 Wanna something classic and simple? 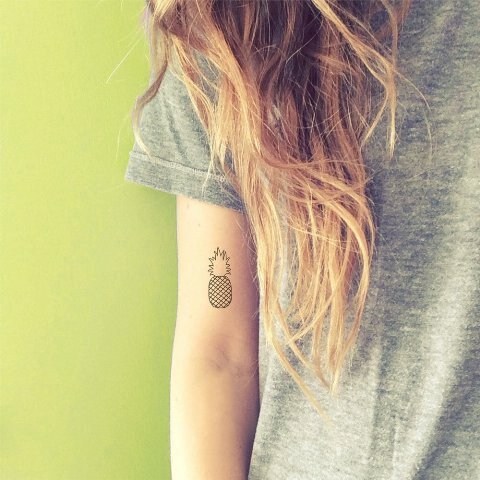 Then you can try to ink a small black-contour pineapple tattoo on your wrist. 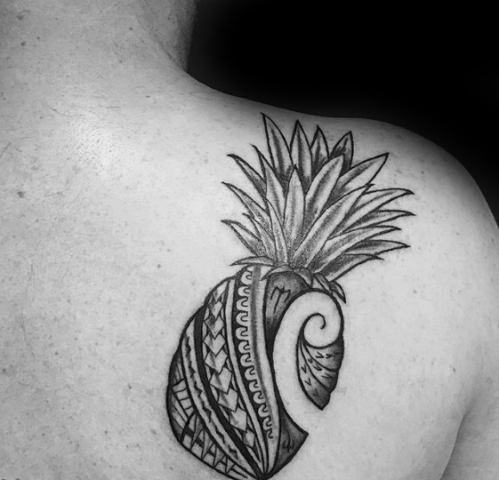 Or you can repeat a tribal tattoo idea with an image of a pineapple on your shoulders. 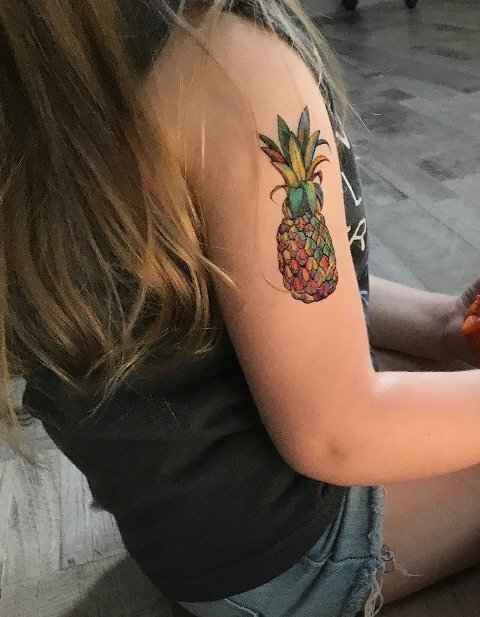 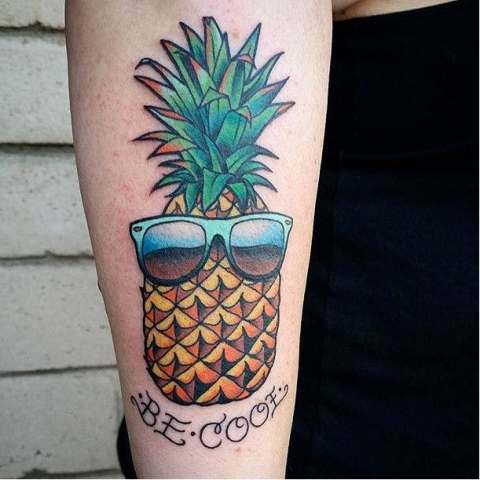 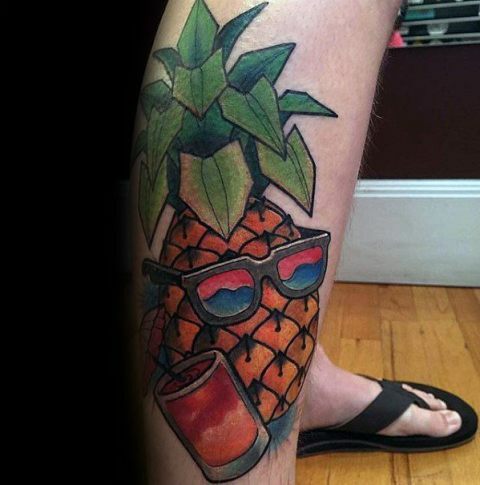 I offer you to take a look at relaxed tropical styled tattoos with a pineapple drink and a phrase «all is good» or a pineapple and sunglasses tattoo with a «be cool» phrase. 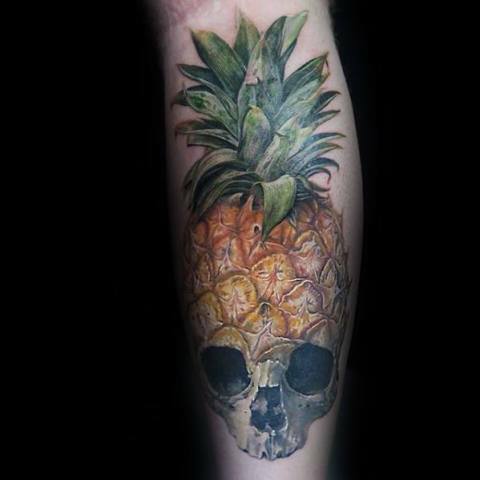 Many guys choose images of a pineapple and a skull for their new tattoo, so you can follow their examples too. 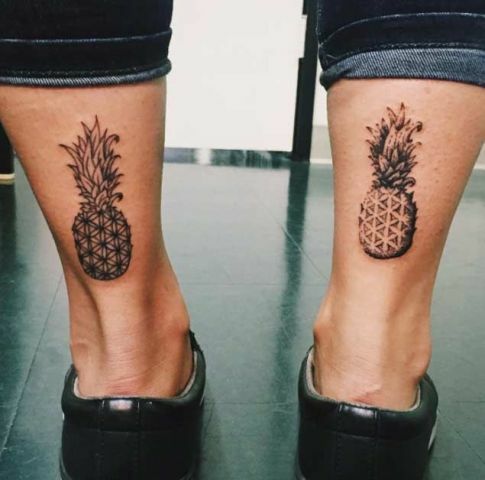 You can make matching pineapple tattoos not only with your best friends, but you can make two black matching tattoos on your both legs. 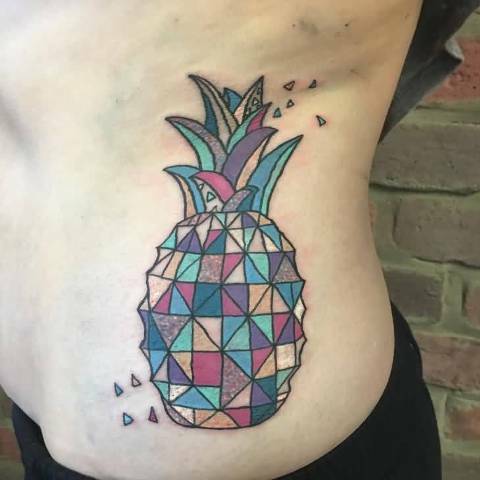 Wanna something unique? 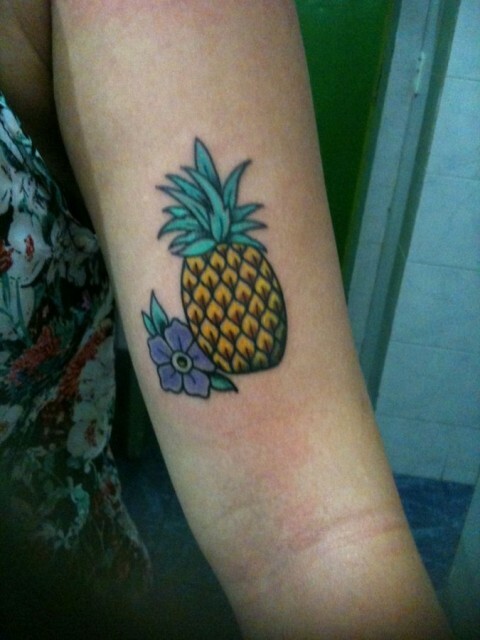 The n ask your tattoo artist to place a colorful geometric pineapple tattoo on your side or back. 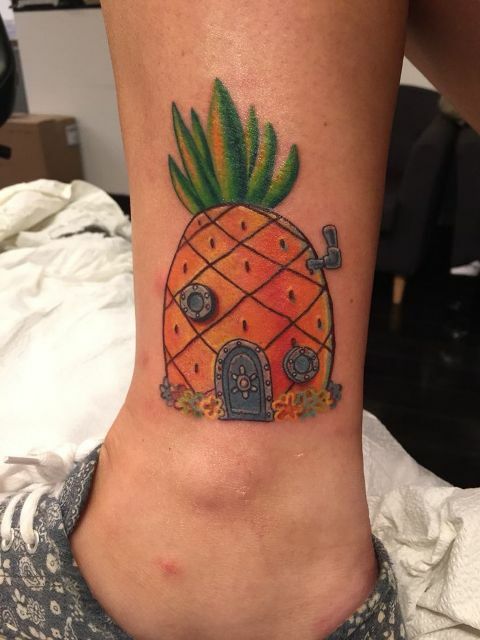 If you are a big fan of cartoon tattoos, then you will like an idea below with an image of Sponge Bob’s pineapple house on the ankle.